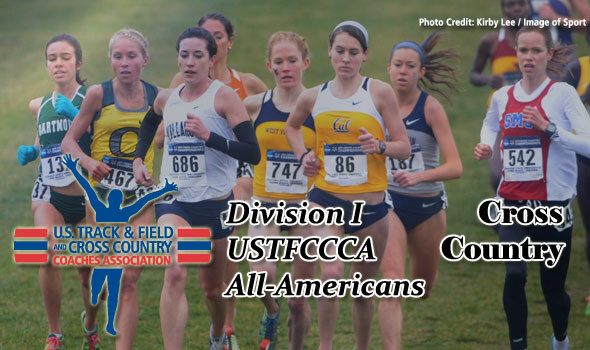 NEW ORLEANS – The U.S. Track & Field and Cross Country Coaches Association (USTFCCCA) announced on Monday the 80 student-athletes that received All-America honors for the 2010 NCAA Division I Cross Country season. Overall finish at the NCAA Championships is the determining factor as the top 40 individuals from both men’s and women’s races earn All-America plaudits from the USTFCCCA. Wisconsin’s men lived up to their No. 1 national ranking in topping two-time defending champion Oklahoma State, 97-139, for their fifth NCAA title. Led by third-place finisher Mohammed Ahmed, the Badgers claimed a national-best four All-America honors as Elliot Krause, Ryan Collins, and Reed Connor also earned All-America nods. Oklahoma State and Colorado garnered the second-most All-America honors with three. Among conferences, the Pac-12 had seven men earn All-America awards, followed by the ACC (6), Big 12 (6), Big Ten (6), and West Coast (4). On the women’s side, No. 3 Georgetown came away with their first national team title, scoring the second-highest winning score in meet history (162). The Hoyas were led by All-American Emily Infeld. Iowa State, who placed seventh in the team standings, earned the most All-America finishes with three. Seven squads followed with two apiece, including West Virginia, Villanova, California, Stanford, Colorado, Florida State, and Washington. The Pac-12 earned 10 of the 40 All-America awards to lead all conferences. The league was followed by the Big East (6), Big 12 (4), ACC (4), and West Coast (3). The USTFCCCA will announce Division I National Athletes and Coaches of the Year on Wednesday.